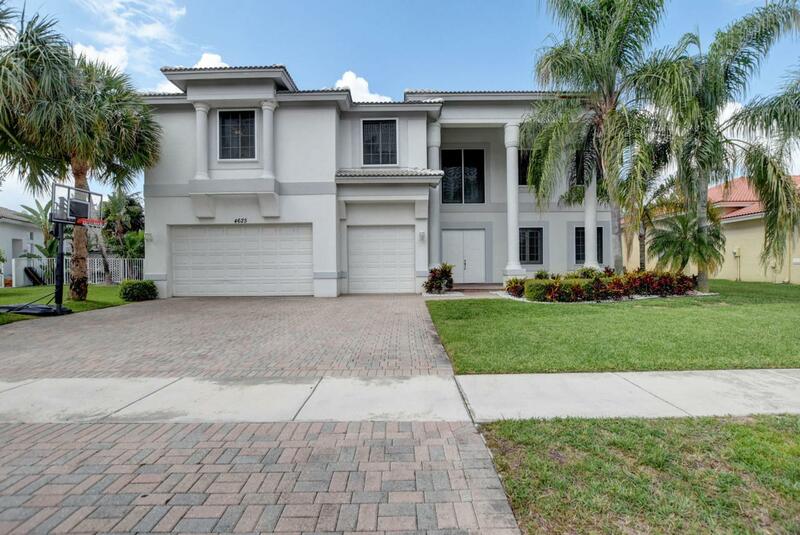 This is one of the most desirable models in The Isles, and features 6 bedrooms and 4 full baths. As you enter the home through the double door entry, the openness invites you in. 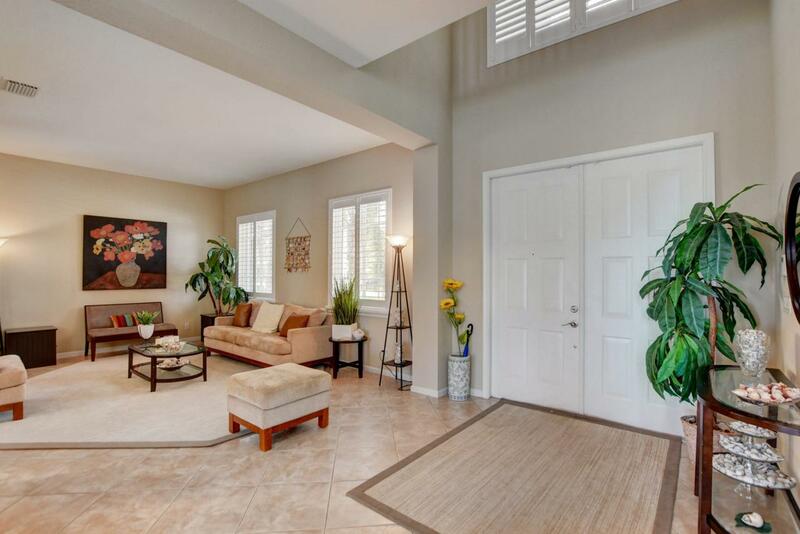 The first level features a formal living and dining room and a large Family Room with a stunning 2 story ceiling. The large kitchen has Corian counters, stainless steel appliances, a double oven and an island with a Prep Sink. The view from here is stunning - the lake is beautiful and offers plenty of wildlife to sit and watch. The downstairs is completed with a bedroom and full bath. This area can be closed off which is ideal for an office, or a guest room. As you go upstairs, you will see the loft area, which has a built-in desk - ideal for homework assignments!The 5 bedrooms on the 2nd floor are a generous size. The Master Suite is separated from the rest of the bedrooms and offers privacy at its best. Enjoy a cup of coffee or glass of wine on your private balcony and watch the sunset, or relax in your spa tub. This home is protected with Upgraded Hurricane Screens that eliminate the need for Hurricane Shutters. 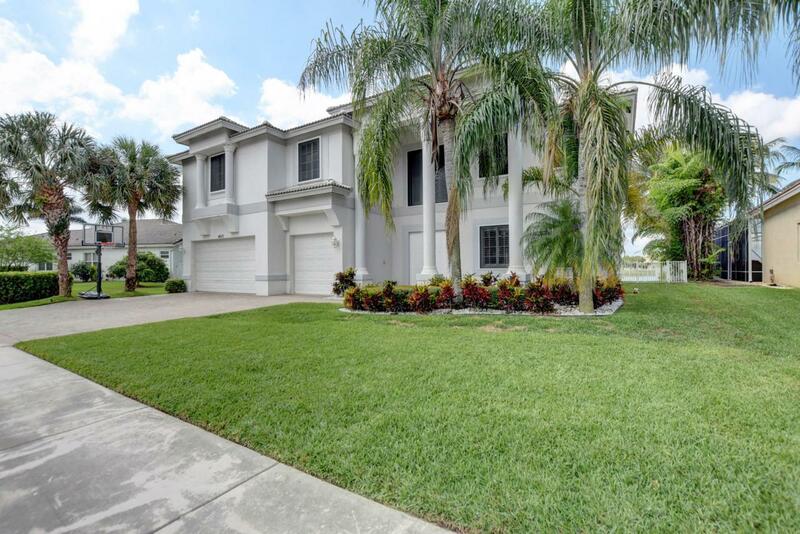 This house is in the much sought after community of The Isles at Wellington. 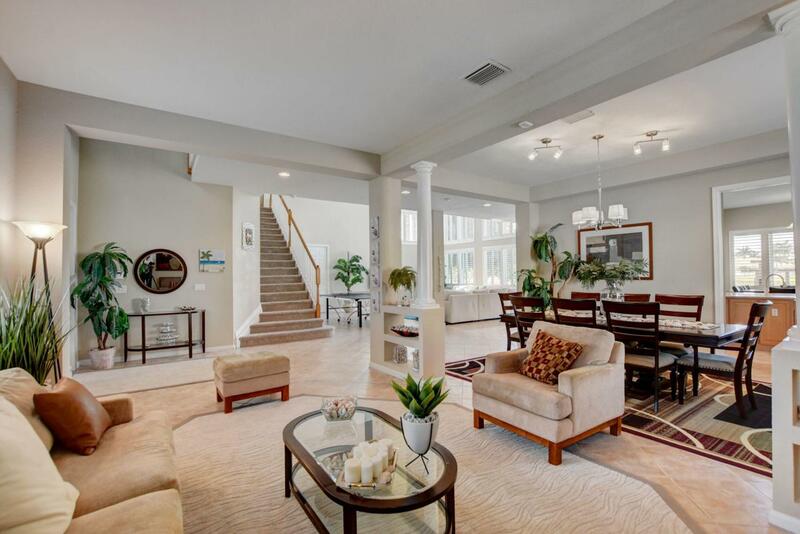 It offers a resort-style pool, jacuzzi and newly renovated Clubhouse and Fitness Center.